Sterling Contracting, LLC is an established commercial and industrial concrete construction company. Our management team has over 100 years of combined experience serving Northern Indiana. Our focus is to build with quality, resulting in the enrichment of businesses and communities. Sterling Contracting desires to create a positive employment experience for all employees as we expand our market territory. 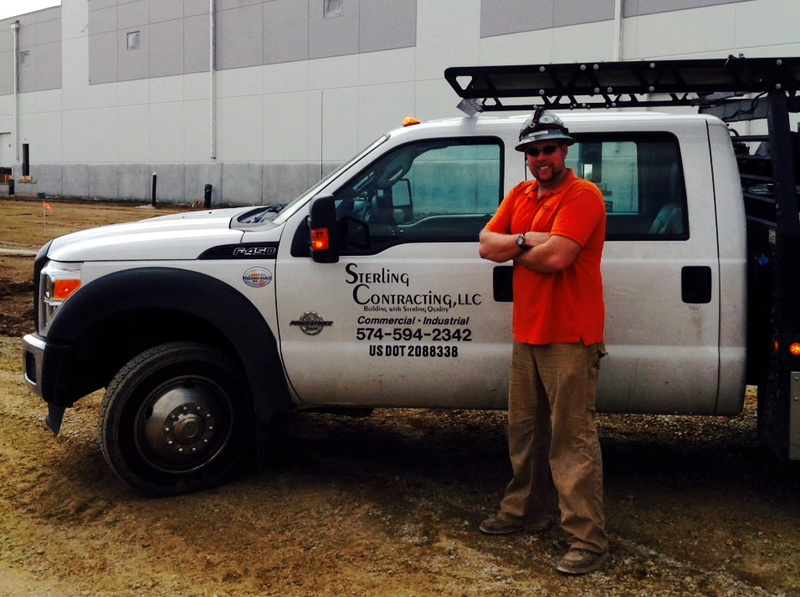 Our mission at Sterling Contracting is to serve clients through contract services coupled with our reputation for Building with Sterling Quality. Sterling Contracting, LLC was formed in March 2008 with the goal of offering clients unmatched quality. We pride ourselves with finishing jobs on time and on budget with our highly experienced team of supervisors and employees. Our management team has over one hundred years of combined experience in commercial and industrial construction supervision. Currently we have over thirty-five employees and have a waiting list of qualified applicants available for hire as projects demand. We have the ability to offer extremely competitive pricing due to our ability to self perform a large percentage of our projects with our highly trained diversified labor force.